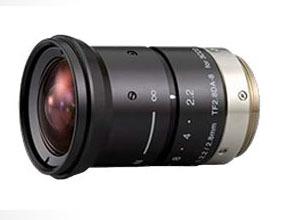 The Fujinon TF2.8A is a 2.8mm F/2.3 lens designed for 1/3 Format 3-CCD cameras. It’s low-distortion design produces a crisp image across the full aperture. Compact, lightweight and robust design, supporting various systems. Faithful color reproduction for 3CCD cameras, best suited for advanced monitoring applications.